A piece of me, reports, reviews at its best! (AP) – Documents on three deadly jetliner crashes in Nigeria – including one in which a plane filled with children going home for Christmas burst into flames – offer a harrowing look at the loosely enforced safety regulations and oversight in Nigeria. The records obtained by The Associated Press show that the captain of another Nigerian flight that crashed had gone back to work as a pilot despite being shot in the head years before. And in another case, a pilots’ manual included blank pages instead of key safety information. Nigeria’s government long has declined to release formal records surrounding three fatal crashes in 2005-2006 including the one that killed scores of children. While none of the airlines involved in the three crashes still fly in Nigeria, the safety concerns come after the West African nation gained a coveted U.S. safety status last year that allows its domestic carriers to fly directly to America. The AP requested the documents about the crashes through a Freedom of Information Act request from the U.S. Federal Aviation Administration. The U.S. became involved in those inquiries because the planes were manufactured by U.S. companies and because Nigeria requested the help of American investigators. Though officials now say air travel is much safer, the documents add to worries about flights in Nigeria, a nation of more than 160 million people where graft and incompetence often dominate government and where the demand for air travel has spiked over the last five years. A report on the Oct. 22, 2005 crash of a Bellview Airlines flight that killed 177 people, including a U.S. citizen, showed the plane nose-dived into the ground at high speed. Investigators reportedly found only human remains that were “nothing bigger than toes and fingers,” the report read. The plane’s captain, a 49-year-old former pilot, had been hired by Bellview after he had been working at a dairy for about 14 years, the summary read. The pilot also had been “shot in the head during a robbery attempt” during that break from flying, the report said. “Interestingly, the Nigerian … medical records do not contain any medical or hospitalization history of this event,” the report read. The unnamed author of the report wrote that investigators would follow up on that detail, though no other documents released by the FAA refer to it again. Harold Demuren, director general of Nigeria’s aviation authority, said officials have worked to ensure safety regulations were followed. Nigerian officials have offered conflicting reasons for the three major crashes in 2005-2006, never releasing full reports on what happened. At the Bellview crash site, deep in rural Nigeria, villagers looted the few pieces of what remained from the plane, likely including its “black box” recorders, according to an investigation summary. The Dec. 10, 2005 crash of a Sosoliso Airlines flight full of school children from Abuja to Port Harcourt, which killed 107 people, appears to have involved both pilot error and weather. rt, an FAA memo reads. The inclement weather also forced the pilot to make an instrument landing – meaning that visibility had been reduced to the point the pilot needed to rely on instruments to make his landing, the report read. The plane crash landed on the grass alongside the runway, broke apart and caught fire. The third major crash – an Oct. 29, 2006 Aviation Development Co. flight from Abuja to Sokoto – killed 96 people, including the top spiritual leader for the nation’s Muslims. The plane crashed 76 seconds after going airborne. Just before the crash, alarms began sounding in the cockpit and the pilots’ incorrect actions stalled the plane, according to the report. “Although bad weather may have created the situation, which the pilots reacted to, they reacted inappropriately,” the report reads. The manual was duly approved by the Nigerian Civil Aviation Authority despite containing the blank section. “The deficiency in the operation manual would probably make it difficult for pilots to take appropriate decision on when to go or not to go in (an) adverse weather condition,” the report said. A 2009 study done for the World Bank concluded the aviation authority spends more than 90 percent of its budget on salaries and cannot fund training or equipment needs. 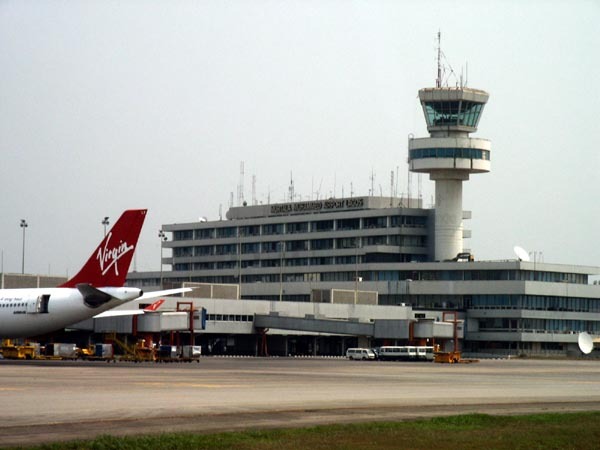 The authority “is still struggling to enforce quality, safety, and security standards on federal agencies operating Nigeria’s airport and airspace systems,” the study said. Demuren, the authority’s director general, acknowledges that challenges remain for his agency as it has an aging work force and old equipment but he insists things have improved greatly. In the five years since the ADC crash, Nigeria has not had another major commercial airplane crash, something the nation’s leaders point to with pride. In August 2010, the U.S. announced it had given Nigeria the FAA’s Category 1 status, its top safety rating that allows the nation’s domestic carriers to fly directly to the U.S. The Nigerian government said it also now has full radar coverage of the entire nation. However, in a nation where the state-run electricity company is in tatters, state power and diesel generators sometimes both fail at airports, making radar screens go blank. Yet air travel has never been so popular in Nigeria, whose growing middle and business class rely on air travel to avoid the country’s poorly maintained and dangerous roads. The country had nearly 14 million air passengers in 2009, according to a December study by Lagos-based Ciuci Consulting and Financial Derivatives Co. The nation’s largest carrier, Arik Air Ltd., soon will have a fleet of 40 aircraft, the study said. Yet Arik, like the nation’s seven other domestic carriers, faces increasing economic pressure from rising jet fuel costs in a nation that must import the majority of its fuel despite being Africa’s top oil producer, said Fola Onasanya, an analyst at Ciuci Consulting. Major maintenance must be done outside the country, as Nigeria does not have the manpower or capability to do it locally, Onasanya said. Government regulations and taxes also add additional burden on companies in a nation where airlines have scrimped on maintenance in the past to cut costs. “There’s always been that pressure,” Onasanya said. AP – An international watchdog says authorities have shut down a long-standing press center in Nigeria’s busiest airport. The Committee to Protect Journalists said in a statement Tuesday that authorities at Murtala Muhammed International Airport in Lagos also held equipment belonging to more than 60 journalists at the center during Saturday’s lockout. A spokesman for the Federal Airports Authority of Nigeria said officials of the State Security Service and the Ministry of Foreign Affairs shut out the journalists without saying why it was done. Aviation correspondent Chris Agabi told the protection group that “not even military regimes shut down” the center that has existed for more than 30 years. Nigeria came out of a long period of military rule in 1999 and has an unbridled free press, but journalists are often harassed. Finally started writing again and its something very interesting on the menu- Human meat in burgers in Anambra Hotel??? Lillie/Nicole McCloud just wants a comeback. Will she get it? Nigeria should host the next Super Bowl??? ?